The Internet has had a huge impact on channels of communication and information, reaching across time and space to connect the world through globalisation. In this Internet-led world, story links to story, windows open on new stories and no overall authority establishes priority. This sense of globalisation has raised many questions for contemporary American Novelists, primarily the usefulness or redundancy of narrative and its potentially adaptive function. What are the right stories for such a broadband world? 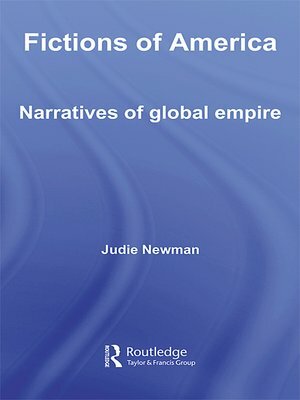 How do contemporary American novelists respond to issues such as the influence of the multinational corporation and its predecessors, human rights Imperialism, the literary work as a marketable commodity, translation as betrayal, data overload, and the implosion of the virtual into the biosphere? Is globalisation inevitable – or is it a fiction which fiction turns into reality? Fictions of America explores these questions and looks at the ways in which India, China and Africa can be said to have underwritten American culture, how literature has been marketed globally, and how novelists have answered back to power with resistant fictions. Judie Newman examines a wide range of fiction from the mid nineteenth to the twenty-first century including the transnational adoption narrative, short story, historical novel, slave narrative, international bestseller and Western to illustrate her argument. Looking closely at authors such as Bharati Mukherjee, John Updike, Emily Prager, Hannah Crafts, Zora Neale Hurston, David Bradley, Peter Høeg, and Cormac McCarthy, Fictions of America provides a bold response to the crucial questions raised by globalisation.